Children’s night lights are normally pretty boring and don’t allow parents to access them using the latest technologies direct from their smartphones. 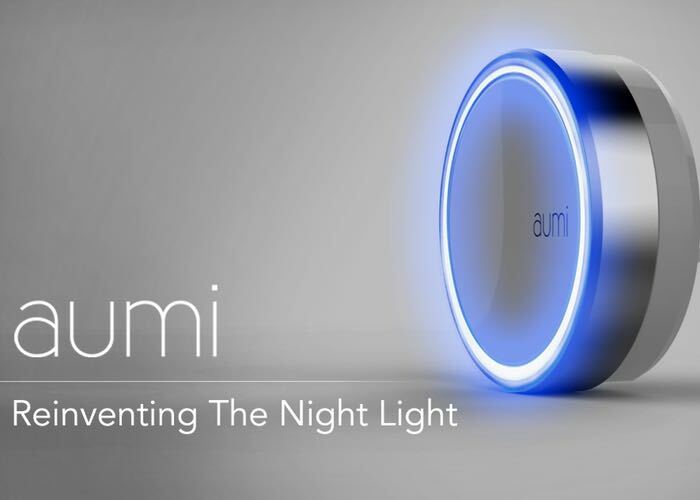 Now a new Bluetooth night light has been created called aumi that offers a next generation connectivity, that can be recharged as well as providing a rainbow of different lighting effects to choose from. The aumi project is currently over on the Kickstarter crowd funding website looking to raise enough pledges to make the jump from concept to production. “Turn the light on or off, choose from over 16 million color options, set it to automatically turn on when dark, set timers to dim or turn off, Use the aluminum bezel or the app to adjust the brightness, get notifications such as texts or calls, have Aumi stay on when the power goes out, unplug and use it as accent lighting. So if you think aumi Bluetooth night light is something you could benefit from, visit the Kickstarter website now to make a pledge from $29 and help aumi become a reality.